Synergy Business Consulting in partnership with National and International Accreditation and Certification bodies, and Halal Certification agencies is pleased to announce Halal Certification Consultancy and Marketing services in Pakistan. If you are looking for information on ISO 9001 and related certifications, then CLICK HERE. Halal is an Arabic word meaning lawful or permitted. In relation to food and cosmetic products, Halal means products that are allowed to be consumed or used by humans according to Shariah (Islamic Law). When used in relation to products in any form whatsoever it means that it is permitted and fit for consumption by Muslims and Haram means that is not permitted and fit for consumption by Muslims. Free of, and not containing any substance or ingredient, taken or extracted from a Haram animal or ingredient. Made processed, produced, manufactured and/or stored by using utensils, equipment and/or machinery that has been cleansed according to Islamic law. Must never have come into contact with, touch or be close to a Haram substance during preparation, making, production, manufacture processing and/or storage. The meaning of ‘Haram” is the opposite of Halal. i.e. not permitted etc. Animals not slaughtered in a Halal manner. Pigs, dogs, donkeys or carnivores. Dead animal due to strangulation, a blow to the head (as in clubbing), a headlong fall, natural causes (carrion), being gored or attacked by another animal. Animals having protruding canine teeth such as monkeys, cats, and lions. Amphibious animals such as frogs and crocodiles. Undesirable insects such as worms, flies and cockroaches. Birds of pray with talons such as owls and eagles. Alcohol, harmful substances, poisonous and intoxicating plants or drinks. Pakistan National Accreditation Council (PNAC) is the authority responsible for implementation of regulations controlling Halal Certification in Pakistan. The Emirates Authority for Standardization and Metrology (ESMA) is the Authority responsible for implementation of regulation controlling Halal products in the U.A.E. The Federal Government has recently launched the Halal National Mark to augment the program certifying Halal products and animal slaughterhouses. The Company is a Halal Certification Body accredited by the GCC Accreditation Center and Registered by Emirates Authority for standardization and metrology to offer conformity assessment services and certification of Halal products intended for the GCC member countries. The Company, as an official third party of ESMA to offers Halal certification services of Halal products. License to use the Halal National Mark is valid for 3 years. Halal Certificate is valid within 3 years upon issuance for the certified products and animal slaughterhouses. Renewal application is required one month before expiration of the certificate. List of certified products may be updated to include additional products provided these are under the same category, manufactured in the same production line and the same set of technical requirements is met. Halal is an Arabic word meaning lawful or permitted. Halal means products that are allowed to be consumed or used by humans according to Shariah (Islamic Law). Advances in science & technology have revolutionized the human life; eating, drinking, dressing & beautification habits being no exception. But the darkest aspect thereof is that they have perturbed the Muslims because of the Haraam ingredients & products. Pakistan National Accreditation Council (PNAC) is the authority responsible for implementation of regulations controlling Halal Certification in Pakistan. 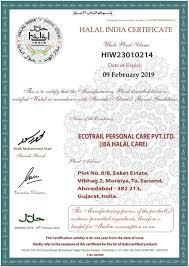 Halal certification is a requirement of Muslim importing countries and some importers in other countries. HCA is audited by AQIS, DAWR, GAC (regulated by ESMA) and DQS (regulated by JAS-ANZ) on a regular basis. HCA does not take any royalty on processed products it certifies. The certification fee paid is not dependent on quantity, quality or number of products. Halal certification is responsible for one dollar in every three earned from export and is directly responsible for the employment of over 400,000 non-Muslim Australians, both men and women. Companies enjoy a larger market share due to Halal certification. The Halal market continues to grow worldwide. 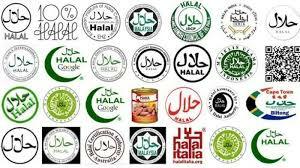 To use the term Halal, a product must be Halal certified according to Codex Alimentarius Commission. Certification is driven by manufacturers looking for new niche markets in Australia and overseas. Halal certification of processed food does not require any changes or rituals. Only products that qualify are certified. Muslims have certain dietary requirements that must be fulfilled by certification. 1. Renaissance Inspection & Certification Agency (RI&CA) (Pvt.) Ltd.
3. SANHA Halal Associates Pakistan.